I want to start this writing with The Duquesa de Alba. The Duquesa de Alba is a painting from Francisco de Goya, famous painter of the 18th century, you might know him for his horrifying and black painting: Saturn devouring his son. The painting on the left depicts the Duchess in her mourning dress one year after her husband’s death. She is pointing to the floor at the words “Solo Goya”. Also, her rings have the words “Alba” and “Goya”. The painting remained with Goya til the day of his death. At the time, the Duchess was incredibly important and powerful in Spain, she was also said to be the most beautiful woman in the entire empire, it was said that “even a single hair of her inspired desire”. As you can imagine by now, the legends behind this painting are varied and extensive, but leaving that aside, the painting clearly shows that Goya was no ordinary painter nor person, he was a profoundly great artist. The painting today is invaluable, you can visit the Duchess yourself in the Hispanic Society Museum in New York City. I have to say that admiring the painting in person is a profound experience, to say the least when I had the opportunity to see her I was dumbfounded, speechless. Not only for its incredible beauty but for all that it signified, at least to me. The painting showed the great mastery and artistry of Goya, the beauty of the Duchess and you can also infer why Goya ascended to be considered one of the greatest painters of Spain. Three centuries after he painted it, he still embellishes with immense beauty the museums and inspires masses of people. For this is the most excellent quality that the noble soul has within itself, that it can be roused to honorable things. No man of exalted gifts is pleased with that which is low and mean, the vision of great achievment summons him and uplifts him. There are no better words to describe what it feels to find yourself before an act of greatness, be it a great book, a great painting or a new scientific discovery. Indeed, it rouses and inspires us to reach beyond our capacities, it makes us actually think of our potential. 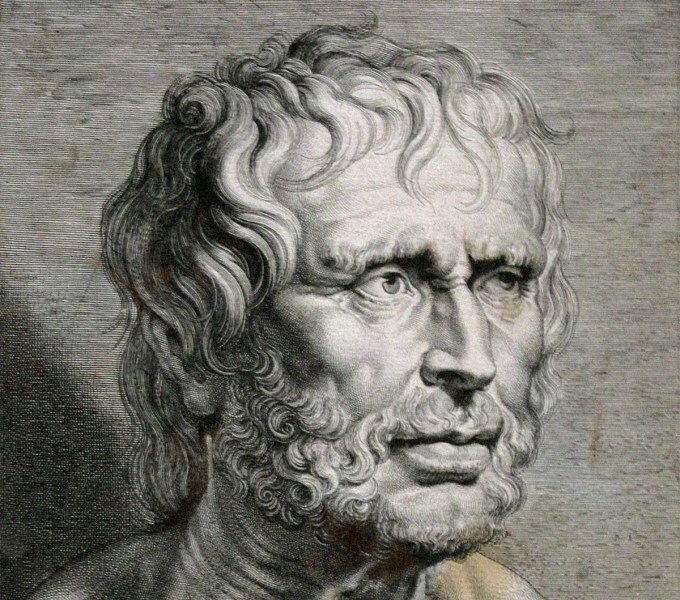 The soul, according to Seneca, is like fire. It doesn’t stand still, it is always in motion and when roused by the wind, it grows and snarls even harder. We are ambitious creatures by nature. But this fire, this natural ambition, can be stirred and become a force of good or more often than not, of folly, it depends on how it is directed. So, what are these “better things in life”? In one word, virtue, the excellence of living. If your ambition would be placed in virtue you would go beyond the jurisdiction of chance because you would not leave circumstances to fortune, but to cause and effect, you would wisely control prosperity because you would rule over possessions and pleasures and not them over you. But what happens when you don’t rule over your pleasures? It is the quality of a great soul to scorn great things and to prefer that which is ordinary rather than that which is too great. For the one condition is useful and life-giving; but the other does harm just because it is excessive. What enemy was ever so insolent to any opponent as are their pleasures to certain men? Living for pleasure alone, that is slavery disguised as ambition. The capacity to say no becomes then of extreme importance. This capacity to know when it is enough will allow us to set focus on the better ambitions and not on the illusory. This is the point where ambition can diverse into its positive or its negative side. Ambition for pleasures and lust (vice) have no end, they ask for infinite satisfaction when the human soul has its boundaries. The wretched man will give way to this infinite need of satisfying his desires and will use his ambition to feed vice, always having a little more and thinking that with just a little more he will be satisfied, but he will not. He will not even enjoy his pleasures, because at this point they will have become his masters and him a slave to his pleasures. Only by saying no and ruling over oneself can one truly enjoy the pleasures in life, and have the greatest pleasure of all, becoming his own master. What do you see when you look at greatness? Fame and fortune? Or a calling to your capacities to rise for it? These are some good questions to ask yourself, for the answer indicates whether you are a slave or a master. I love this quote: Getting straight to business. When I’m cleaning my house I like to start with the dirtiest part. If the obstacle is the way, well, then, the biggest obstacles should be addressed first right? Like the restroom or the kitchen. If you start with the hardest part, everything else will be easier but often the dirtiest parts are what we avoid the most. We are afraid of getting our hands dirty, but we all know that we must do it eventually. I have a problem with positivity. It repels the negative aspects as if they were the plague, ruining our relationship with the negative, which can be in fact, really beneficial. Let me give you an example. A dirty house is not pretty, at all, in fact, it can go as far as to become repugnant. We could say that a repugnant thing is totally negative, but, it also indicates what needs the most work. The more hideous a house is, the more it is yelling to be cleaned, the more it is yearning to be worked upon. The house, obviously, is an analogy for your life. We tend to hide from the negative, from the dirt in our lives by focusing on “being positive” instead of addressing the obvious wrecks that need to be addressed and cleansed. We tend to avoid those hard conversations that need to happen, also debt or going to the doctor for the general checkout afraid something not so good is going to appear on the tests. This is just plain dirt in our lives. The negative is good because it lets you know where you need to work on. I say is better to get your hands dirty and instead of being positive about life, use the negative as a compass, focus on what you can control and get to work. When I’m cleaning up a mess, I’m not smiling, I’m just working, and after I’m done I feel so much better. I’m not claiming positivity is inherently bad. It can be amazing if you don’t use it to hide from the negative. True. If you focus on where you want to go, you are going to get there but you must act do not forget that to get there, you have to get your hands dirty. Make that call, clean that room. Be uncomfortable. And use positivity the right way, have a good old grin while you’re cleaning yourself up.